1. I am the owner of Katy’s Exposure Blog, Exposing Environmental Health Threats and Those Responsible. The web address is: https://katysexposure.wordpress.com/ I reside in Katy, Texas and have personal knowledge of the facts set forth herein. If sworn as a witness I could and would testify competently thereto. 2. Many of our readers have difficulty obtaining medical treatment for their injuries caused by exposure to contaminants found in water damaged buildings (WDB) because of a marketing campaign by the US Chamber of Commerce that began in 2003 and in which it was mass promoted to US physicians, insurers and the courts that it had been scientifically proven all claims of illness and death from “toxic mold” were only being made because of “trial lawyers, media and Junk Science”. 9. I am aware there is no evidence to corroborate that this testimony in the Mercury case was ever given by Bruce Kelman or that there is any evidence Sharon Kramer had reason to, or did, harbor personal ill will for Bruce Kelman stemming from his involvement in the Mercury case. 10. I am aware and have the direct evidence posted on Katy’s Exposure that the Fourth District Division One Appellate Court issued a second opinion in September of 2010 in which they concealed they had crafted their 2006 anti-SLAPP opinion to make the false finding that Sharon Kramer was guilty of libel with actual malice and that all lower courts followed their lead, including the trial court when framing the scope of the trial and in post trial rulings. 11. I am aware and have the direct evidence posted on Katy’s Exposure that numerous court documents and computer entries were falsified in the case of judgments that were never entered and concealing who were the actual parties to the litigation, with Bryan Hardin who is a retired Deputy Director of NIOSH and co-owner of Veritox being an undisclosed party to the litigation. 14. I am aware that this court is suppressing the uncontroverted evidence in its case file that Bruce Kelman committed perjury to establish malice and Keith Scheuer repeatedly suborned it. I am aware and have the evidence on Katy’s Exposure that on July 15, 2011, this court deemed it “frivolous” that all prior courts suppressed the evidence of plaintiff’s perjury and threatened to sanction Sharon Kramer when she asked that the plaintiff attorney be made to corroborate reason given for malice in a libel litigation. 15. I am aware that if the court would acknowledge Sharon Kramer’s uncontroverted evidence in its case file that the prior courts framed her for libel for the words, “altered his under oath statements”, suppressed the evidence that Bruce Kelman (author of mold policy for ACOEM and the US Chamber) committed perjury to establish reason for malice, falsified court documents and computer entries; and then in a second case gagged her from being able to write the exact words for which she was framed; the deceptive marketing campaign of the US Chamber of Commerce that all claims of illness from WDB are only being made because of “trial lawyers, media and Junk Science” would immediately vanish from policy and courtrooms throughout the United States. 20. As the owner of Katy’s Exposure I do not give Sharon Kramer permission to retract the truthful and well evidenced post of September 13, 2011 from Katy’s Exposure, “Is The California Court Case Management System (CCMS) Being Misused For Politics In Policy & Litigation…..And The Fleecing Of The California Taxpayer Over The Mold Issue?” Based on the evidence I have posted on Katy’s Exposure, the answer appears to be a resounding “Yes”. 25. As the owner of Katy’s Exposure, I do not give Sharon Kramer permission to retract these truthful posts of November 3, 2011 and November 4, 2011 from my blog, Katy’s Exposure. The posts provide direct evidence via linked legal documents of why the California courts want Sharon Kramer and I silenced of how they framed a defendant for libel with actual malice for a writing impacting public health. Contrary to the courts’ attempting to deceptively stop public light on what occurred in the cases and continues to occur; these cases are a matter of public record as are the linked legal documents from the cases. I am proud to say I have done my best to help expose a science fraud in US public health policy that has harmed many who have been already made ill from contaminents in water damaged buildings, including me. It is widely known the wrath Mrs. Kramer has suffered for daring to speak publicly against the interest of the US Chamber of Commerce over this issue. Few know of the retribution I have suffered. Since mid 2010, my privacy has been egregiously invaded to the point that I cannot even freely use the Internet from my own home or get direct access to the Web. It began with my Blackberry being hacked. From there it filtered into all my electronic communications. I am told that sometimes when I make phone calls my number shows in the caller ID – with another’s name. I am able to determine that my cellular and electronic accounts have been set up as re-routed through corporate servers and accounts. What I have experienced is total ID theft and data mining. Any new services or equipment I have purchased have, to date, been unable to stop the invasion of my privacy and right to freedom of speech. This appears to be a personally targeted attack on me because I dared to start a blog that has been successful at “Exposing Environmental Health Threats and Those Responsible”. There is more than one way to jail someone to silence them. I, personally, have had my movements blocked for over a year by invasive hacking. I feel like I have already done and continue to do my time in prison for daring to speak the truth in America. This entry was posted in Civil Justice, Health - Medical - Science and tagged Bruce Kelman, ccms, Judge Thomas Nugent, Justice Judith McConnell, Justice Richard Huffman, Keith Scheuer, Sharon Kramer, Veritox. Bookmark the permalink. On February 15, 2010, I moved into a new home. By March 20, 2010, my cats were vomiting, hacking, and having asthma attacks whenever they walked by a spot in my hallway. One of them began losing her hair and they developed diarrhea. We started having headaches, coughs, and nosebleeds. On March 25, 2010, we discovered that all of the shower valves…hidden in the walls…were leaking and causing extensive mold in the wall cavities and under the hardwood…at the EXACT spot where the cats would get sick. Yes. It was all in our heads. Mold doesn’t cause illness. Yeah. Right. I can see accusing humans of faking an illness but it is hard to say that those cats were lying. I sure hope that there is a special hell for people like Bruce Kelman. Crystal, you mentioned having your computer compromised. While I have no idea who did what to it, you probably should realize that lots of people have their computers compromised day in and out. If you are targeted specifically, that can be very tough no matter what computer you use; however, I have to mention that I don’t use Windows or Apple. I use this http://getgnulinux.org/en/ (which actually comes in many flavors.. as you can see here: http://distrowatch.com/ ). Windows is a big target and most malware out there targets it. Let me give you one more link. Ken Starks switched to Linux a few years back, and it really changed his life in a number of ways as you can see from this recent posting on his blog http://linuxlock.blogspot.com/2011/12/of-penguins-and-presents.html . You should keep in mind that some things you do today you *may* not be able to do on Linux (although if you have trouble using your computer period, it sure wouldn’t hurt.. and if you already have a Windows computer as a “backup”, you should be fine). I have been using it for about 10 years without missing Windows at all; however, ymmv. If you get curious consider asking Ken for advice. The health problems that occur from water damaged buildings and toxic contamination will not go away. By pretending these hazards do not exist or by minimizing their affect on human health you do grave harm to mankind. To persecute those people who have the courage to herald the serious nature of these issues is, simply put; “shooting the messenger”. Please wake up America. With regard to mold related illness,, the medical community must begin acknowledging the real science instead of what is accepted as legitimate medical practice. There is nothing legitimate about letting thousands of innocent people suffer and die every year.. With regard to the courts,, they too should accept the real science and not fabricate their own science for the purpose of persecuting a purveyer of the truth.. Sharon Kramer has told the truth and nothing but the truth and this travesty of justice must not prevail. WE who are sick from environmental illnesses know the facts and the courts are ignoring these facts and fabricating their own sense of justice.. To the courts I say Justice is not a privilege. 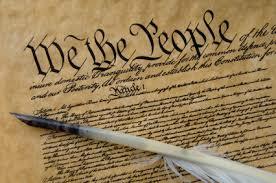 It is a fundamental right of all people.. To the People I say… Good God America,,,Stand Up. I too, Dana Toliver, completely and wholeheartedly support the efforts of Sharon Kramer, Crystal Stucky and ALL others who are upholding truth and justice on behalf of all those who are suffering from the devastating effects of toxic mold exposure caused by water damaged buildings. I, too, have been fighting a case for disability in the CA courts for the past seven years regarding my illness caused by exposure to toxic mold. It is no coincidence that I was forced to stop working June 30, 2003 due to the inability to perform my job duties and the lack of ability to function and ran in to many obstacles in seeking a diagnosis and treatments. I have no doubt that my case was denied twice and has now sat in a CA Appeals court for over two years with no judgement based on the position paper by the ACOEM authored by Bruce Kelman and marketed by the US Chamber of Commerce. It is an absolute travesty that there are so-called humans out there that put a price tag on human life. It is down right shameful that these same so-called humans have been bought off and would rather safe face then do what is right and just! Toxic mold exposure caused by water damaged buildings absolutely can and does cause harm! People are dying! This is a national and world-wide epidemic that has been denied and covered up for far too long! This is a very serious environmental issue, health issue, political issue, judicial issue and financial issue involving massive fraud perpetrated against “We The People”; the citizens of the world! And those who are involved in perpetrating this fraud and mass cover up who have purposefully chosen to lie, stay silent and not speak up for what is right and just will be sorry they ever did when they are begging for mercy while rotting away in hell! I want to personally thank Sharon Kramer for all of her tireless work on behalf of those suffering. I also want to personally thank Kevin Carstens who is the owner of Sickbuildings which has supported me and many others and helped us to connect and not feel so alone in our individual pligths. And last, I want to personally thank Crytal Stucky for creating this website which has helped spread the truth about this deadly epidemic. What can one say. It seems almost like a government led campaign to destroy this brave lady in order to save money. I thought governments where supposed to stand up for the people they represent. Shame on them there is evidence worldwide to support the case for damage caused by fungi growth in damp buildings. I live in UK but have followed Sharon’s fight via the Aspergillus Support Group. Good luck. My father died from mold exposure. God Bless Sharon Kramer. Her efforts, and her persecution, may save the life of someone’s father. I, Jeff Charlton of UK , completely and wholeheartedly support the efforts of Sharon Kramer, Crystal Stuckey and ALL others, as they bring to the forefront a most dispicable nature of conduct by those that took an Oath to Uphold Truth and Justice. I, Gail Shephard, completely and wholeheartedly support the efforts of Sharon Kramer, Crystal Stuckey and ALL others, as they bring to the forefront a most dispicable nature of conduct by those that took an Oath to Uphold Truth and Justice. Those of you, that are responsible for this shameful facade – Those of you who deliberately inflict pain and suffering upon innocent children, should have their names engraved on a Special Plaque, right along with the names of Saddam Hussein, Bin Laden, Moammar Gadhafi, Adolf Hitler, Napoleon Bonaparte etc. They are All wretched, disgusting, vial and without human dignity, pittiful, hopeless, degraded, empty souls.